Wallis’s Guide for Strangers through London was an essential tool for visitors to London. 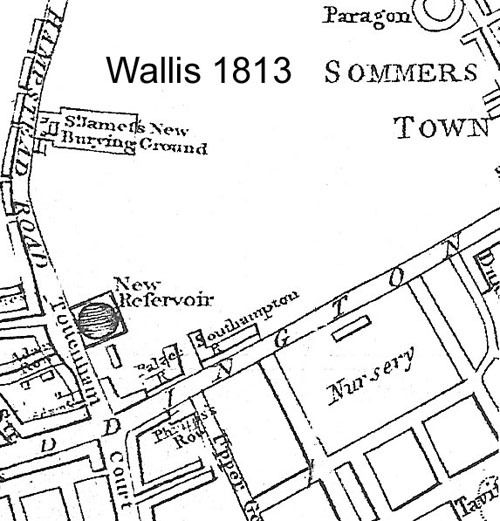 Successive editions (1813, 1821, 1826, 1841) allow the historian to trace the growth of many parts of the city, including the area north of the Paddington to Islington Road. The area named “Euston Square” came into being between the 1813 and 1821 editions. The Euston Grove terminus for the London and Birmingham Railway first appears in the 1841 edition. Map. 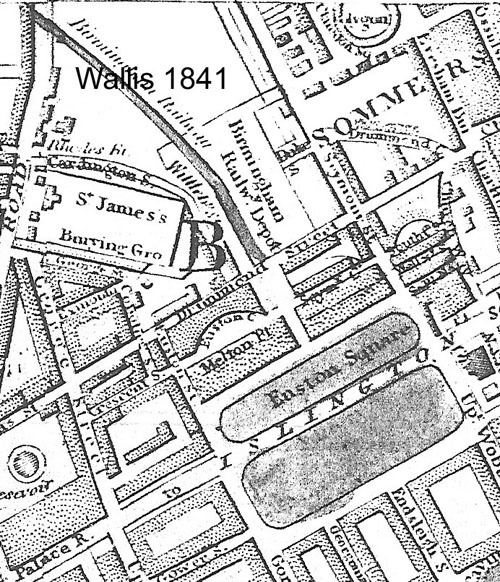 Wallis 1821, showing definition of Euston Square and Euston Grove along the Paddington to Islington Road, now “New Road”. Railway terminus not yet complete. Similar to Wallis 1826. Map. 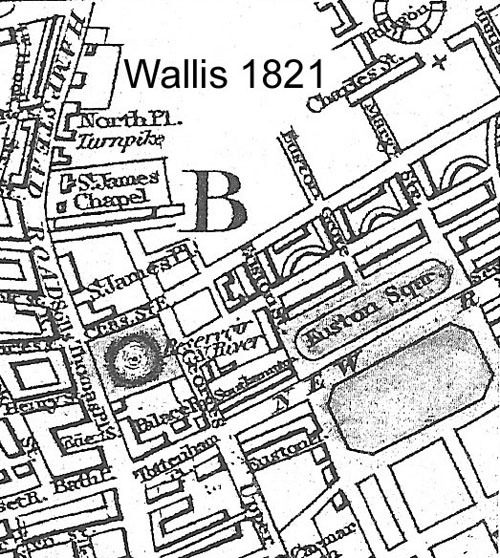 Wallis 1826, showing definition of Euston Square and Euston Grove along the Paddington to Islington Road. Railway terminus not yet complete. Similar to Wallis 1821. Map. 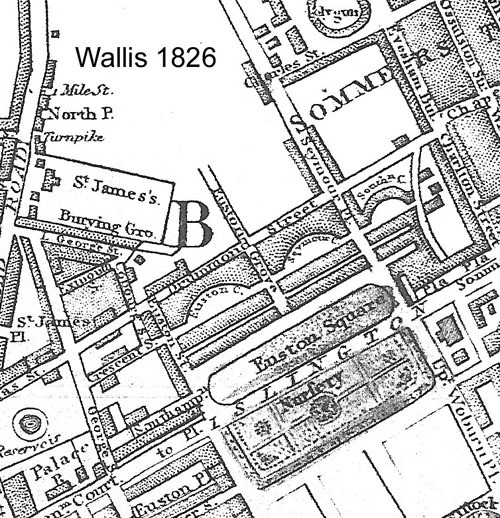 Wallis 1841, showing Euston Terminus, Euston Square and Euston Grove along the Paddington to Islington Road.